For a decade after this crash, sales of camera film steadily dropped as digital camera technology continued to improve. However, all was not lost for the analogue world. According to Kodak Alaris, a spinoff of legendary film manufacturer Kodak, sales of Kodak Professional film grew more than five percent worldwide between 2013 and 2015. Of course, this figure is not even close to reaching the dizzy heights of yesteryear, when film was the only tool available to photographers, but that might not even matter. Indeed, it seems the future role of analogue photography is not to challenge the dominance of digital, but to rest alongside it in a particular niche. Perhaps the best-known film producer in the world, Kodak is still operating in the aforementioned form of Kodak Alaris. What’s more, the company is continuing to innovate, with new films such as Kodak Portra designed specifically to be scanned, reflecting the preference of many modern film users to have scans rather than prints as an end product. Kodak’s one-time rival, Fujifilm, is also still producing camera film, but focuses primarily on its Instax line of instant camera paper. This reflects one of the many unexpected trends in analogue photography; sales of Instax cameras have risen steadily since 2013, and are expected to hit five million units this year. This pattern is firmly being fuelled by a young demographic – typically those born and raised in the digital age, for whom a printed photograph is something of a novelty. UK-based Ilford Photo, another of the few major players to survive the crash, confirmed this trend last year, after a survey found that 30 percent of film users were under 35 years old, and 60 percent had only started using film in the last five years. Such is the enthusiasm among this small but dedicated group that newer companies have even managed to find success in analogue photography – Lomography, born from a bizarre collective of photographers obsessed with low-fi Russian cameras, has also seen film sales rise steadily throughout this decade, with products such as Purple XR (a film that warps the colour spectrum) squarely aimed at the youth demographic. The question that these findings inevitably raises is – why? Why shoot film, when digital cameras are so advanced? In a sense, this line of enquiry is born of a misunderstanding. For many, there is an impression that film is an expensive medium compared to digital, which is ‘free’ in a sense, once the initial equipment has been purchased. “This is a myth. The cost of shooting analogue is immediate and physical: you have to buy film, you have to pay to have it processed and scanned. With these criteria, digital appears less expensive and many wonder why anyone would choose to shoot film. However, people fail to build into their costing how long it takes to edit digital photos. If they were to cost out how long it takes to edit and prepare digital files for production, it would be equivalent or near to the cost of shooting analogue; they balance out in the end”, said Macleod. Similarly, there is often a lack of understanding of the experience of shooting film; the vast majority of digital camera users nowadays have never actually tried shooting with an analogue camera, just as most music listeners have never handled, played and fully listened to a vinyl record. There is a simplicity to the pared-down experience that can be of genuine creative benefit. “Necessity is the mother of invention; there is no point staring at the back of a film camera after taking a shot – that time and energy is already going into the next one. Not knowing immediately what has been captured is a creative advantage”, said Walter Rothwell, a professional photographer who regularly uses analogue cameras for his work. Rothwell is not alone is this view, as more and more professional photographers are choosing film for similar reasons. This is particularly apparent in the world of fashion, as photographers seek to take back control of a creative process that is falling ever further into the hands of editors. 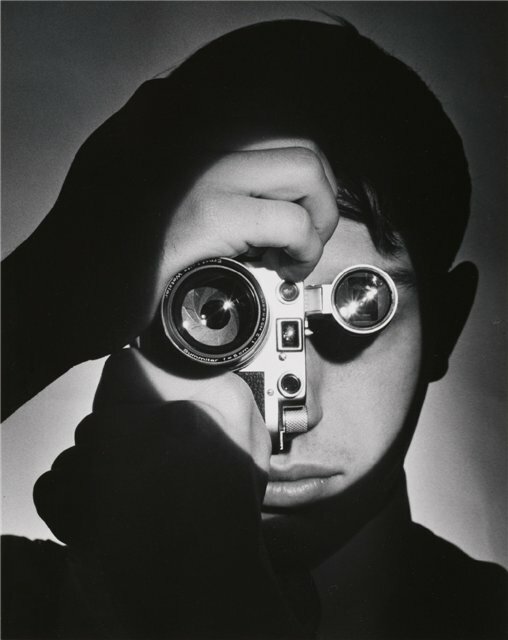 “In the era of Avedon and Irving Penn, it was the photographers who were leading what the fashion should be. Today it is the fashion editor. It is the editor who is immersed in fashion, so it is the editor’s point of view that is valid…the photographer becomes just the tool to express that point of view”, said art director Fabien Baron, in an interview with Business of Fashion. Of course, high-minded ideals about creative control and specific minutiae of costs are primarily professional issues. What inspires the everyday film photographer is something quite different, which is difficult to define, but easy to see. For related reasons, the Hasselblad Xpan, a panoramic film camera, is one of Rothwell’s favourites for personal work. “The Xpan was a unique moment of madness from a large manufacturer; a comparatively small panoramic camera that shoots across two frames, producing very high quality negatives. Around 10 years ago, I noticed that I was ‘seeing’ panoramic photos, so I got the camera to answer a yen.” Rothwell’s panoramic street photography has earned him international acclaim, and while it would certainly be possible to use the panoramic mode on a digital camera or phone to replicate the effect, there is something about the lack of choice that lends his shots a unique feel. To stitch together a panorama from digital images with would not give the same results in terms of artistic impression, though the scene may be the same. It is tempting to put this down to a desire to reduce costs, film photography being perceived as an expensive pursuit, but the reality is very different. “If you are developing and printing to save money, you’re barking up the wrong tree. There is no getting around it, film and paper are expensive, then there are the chemicals, negative and print storage costs, enlarging and processing equipment, the list goes on”, said Rothwell. People are keen to do things with their hands, not for reasons of quality or cost, but for the sake of it, and perhaps to satisfy a deeper instinct to produce physical work. This desire for the physical extends to storage too. True, photographic prints have not seen their popularity rise in parallel with the rebirth of film, but having an exposed negative as a permanent record of a photo is something that speaks to people, especially as our understanding of the limitations of digital data storage increases. “I read an interesting quote recently: ‘nothing digital is truly archival, as it does not survive by accident’. We are taking unprecedented numbers of photos nowadays, but the vast majority are destined to remain as computer code, languishing on hard drives”, said Rothwell. Herein lies the problem – digital files do not last on their own. File types come and go – even the ubiquitous JPEG format may not be readable by standard hardware in 20 or 30 years – so constant, active conversion is required to ensure the survival of an archive. Properly stored negatives, however, can last almost indefinitely, with no particular action required. They are tangible records that can be passed down through generations. The rebirth, however, is still just that – manufacturers need to continue to respond to the market and innovate as much as they can in order to make it a safe, reliably profitable industry once more. Whether that happens remains to be seen, but for now, film is most definitely alive and well. This entry was posted in Film photography, Leica Film camera and tagged Leica Film Camera on July 28, 2016 by Leicaphila. Je ne sais quoi…………We are, after all, analogue beasts. 1. The physical medium can last decades and is easy to interpret: look through the film on a light table and there is the data. I have recently scanned some of my father’s 1940s 35mm negatives from Washington and New York City. Despite scratches, the image data is there and looks amazingly good. Digital data: in theory it can last forever, but few people and organizations really re-transfer their digital data to newer formats every few years. People forget, the hard drive fails, and it is gone. However maybe that is not a bad thing considering how the Dpreview crowd proudly states that they go to Paris with their super XYZ DSLR for a weekend and take 3000 photos. 2. Film simply looks different. I won’t say it is better or worse, but it looks different. Maybe the film look is mainly appreciated by us older curmudgeons. And as we die off, younger photographers who were brought up in the digital imaging era may not care. But look at vinyl music, many people are re-appreciating it, and the same may be happening to film. 3. I think film photographers are often more careful of their craft (due to greater cost and need to think about exposure and manual adjustments?). Film photographers simply can’t spray and pray with finger on the shutter button. The result is more meaningful work (but, of course, this is the old Curmudgeon’s opinion). I started shooting film about 15 months ago. I carry no other cameras now. I am quite sure that thirty years hence children will have no pictoral record of their grandparents. A generation will lose an entire social record of their family’s place in these turbulent times. I hope that by then they will have learned about the fragility of digital records and reverted to film. Interesting, but will it last? I spent almost my entire pro career working with film, mainly on 135 and 6×6 formats. Black and white always meant contact sheets; the 6×6 ones were large enough for some clients to understand, but many had problems checking out 135 contact sheets. That meant that in some cases, I was obliged to mark my own selections on the sheets and also make small prints just to aid final selection. This all took time and money: mine. However, transparencies were a delight: a good Kodak lightbox and there you were: far easier and faster than editing on a computer. And best of all: no further obligations to muck about – just hand over the images and send in your bill. What we have lost! Today, retired and doing it (analogue) – I still own an F3 but have not used it in years – would be fun, but having tried to run a darkroom here in Mallorca in the 80s I realise that the heat and water problems conspire against the project. Were I to return to live in Britain, I’d start analogue once more. But only take it up to the dried negatives. And even there, the problems of getting a contact sheet would remain. I was a very good printer, but would hesitate to start all of that once more. Reading a negative or a positive image is not the same at all: yes, you can easily decide on exposure and processing problems – should they exist – but expressions? I don’t think one can really read them on a small negative at all. I say that having spent my life working in fashion and calendars. Scanning the film would be my route – but the computer work would still remain, whether or not I made a print or just a finished file. And I have never made a digital print that worked as beautifully as a well-glazed WSG 2D. In the end, time marches on and will not bring back an experience (and an expertise) that was what it was if only because there were no alternatives. That genie’s left the lamp. I have just run a roll of XP2 through a Pentax MZ-S this morning, developed it in HC-110 and scanned it with a Hasselblad X1. Nothing alleged about any of that! I could have taken the very same pictures with a digital camera, but I wouldn’t feel quite as good about it. So all of us have our hang-ups, and I haven’t yet found a way around that one of mine that makes digital feel like I’m cheating. That film will endure, is proved as a couple of years back Leica introduced us to the M-A. This camera, as far as I can tell is much the same as my 1960 single stroke M3. No meter, no batteries. I use mine with a Weston Master V for reflected readings and the Sekonic Studio Deluxe 11 for incident light when taking portraits. Both meters are light powered, no batteries. I’ve put together a small, easily accessible outfit using a Mulberry Rockly bag with body and 3 lenses: 35mm f2.8 Summaron with spectacles to convert the 50 frame in the viewfinder to 35, a 50mm f2.8 Elmar and a 90mm f2.8 Elmarit. I’m confident that there will still be film Leicas, new ones at that, film, processors and film Leica user. We have nothing to be concerned about.